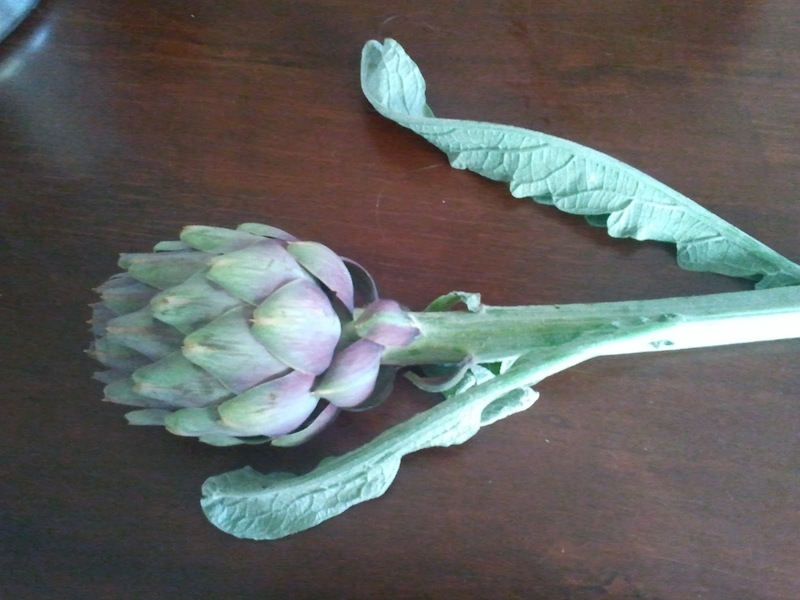 Pippi In The City: Artichokes - How to cook them??? I went to the markets on the weekend and this gorgeous little lady sold me an artichoke. I kept asking how to cook it, and in her broken english she kept telling me that it is good for my liver. So I bought it and decided to come home and google. Good Ol Google!!! What would we do without it!!!!! I was surprised to find little information on cooking the artichoke on it's own, and I couldn't find an Australian Recipe on how to cook it. This is the globe artichoke flower, which is very different to the Jerasulem artichoke which are grown for the tubers which are eaten like potatoes. I sometimes mash some in with our mashed potatoes to give a slight change of flavour, but it is very subtle. The jerasulem artichoke looks something like ginger, being a pale cream coloured small knobbly tuber. 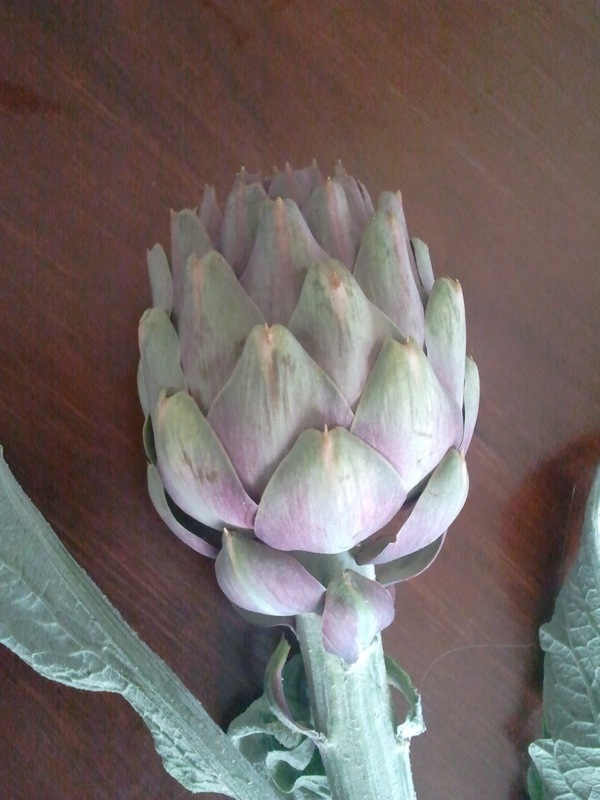 Anyway I have the globe artichoke flower. I haven't been able to cook it yet, and I am very eager to do so and to try the flavour. The Artichoke is related to the thistle plant and when you see the flowering plants you can clearly see the resemblence. I could see the flower being very attractive in a contemporary floral arrangement too. 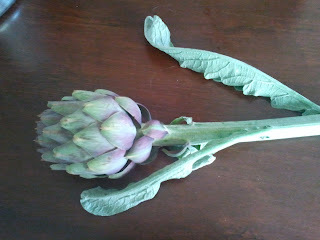 I finally came across this photo recipe site, so tomorrow I am going to embark on cooking my globe artichoke. Hope the children like it? - If not, I may have to go back to the floral arrangement idea!!!!!!!!!!! !